Get insiders tips on improving bookkeeper efficiency with Outstanding Paperwork! We’re so excited about the new update to Outstanding Paperwork! Read on to find a refresher of what Outstanding Paperwork does and how it can benefit you. Find out what’s new to Outstanding Paperwork, and what makes this version even better than the original release. Finally, meet the product owner to get some insider knowledge, tips, and tricks to get the most out of this feature! We know one of accountants and bookkeepers biggest pain points is having to spend valuable time chasing clients to submit their paperwork. In October last year we launched Outstanding Paperwork as a solution to get your clients to submit paperwork. Outstanding Paperwork provides you with a quick and easy way to see which clients have items to submit in order to get their books up-to-date. It creates an accurate reconciliation report of all the items that are awaiting submission, that can be exported as a PDF, CSV or Google Sheets, to send to your client - creating a straightforward solution. We’ve made Outstanding Paperwork even better! Send only the items that need your clients attention with this update. Filter outstanding paperwork by bank account, date range and amount, so it’s easy for you to create customized reports for your clients. This means that instead of requesting unessential paperwork, you can request just the paperwork that needs immediate attention. 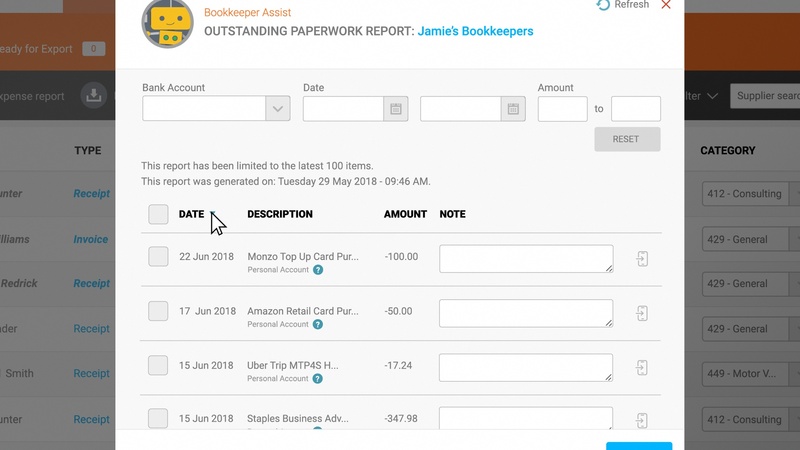 Send customized reconciliation reports straight through to your client’s Receipt Bank mobile app! This means no more chasing, no more endless email chains, all whilst ensuring high-level transparency. 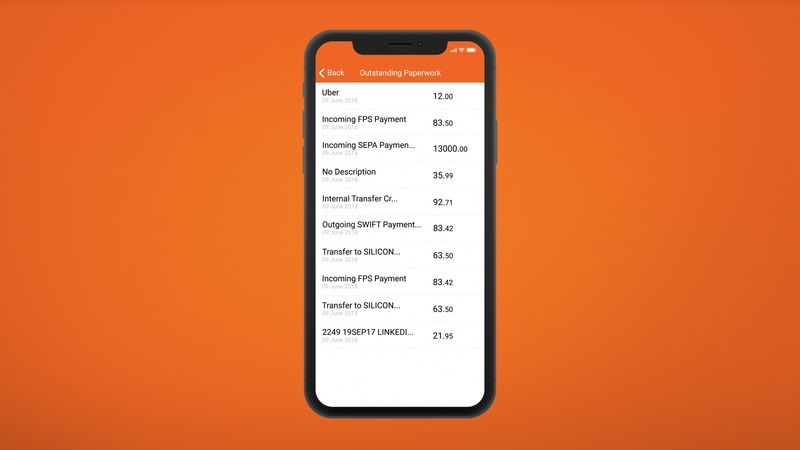 The mobile report will provide your client with a list of everything that requires submission, so all they need to do is find the receipt and submit - job done. Want to find out some insider tips and tricks about how to maximize your potential with Outstanding Paperwork? See what Product Owner, Mustafa, has to say about his top tips and tricks for Outstanding Paperwork. What’s your best advice for Partners getting started with Outstanding Paperwork? What are the benefits of this update to help improve bookkeeping efficiency? What about our Partner's Clients? What benefits does it bring them? 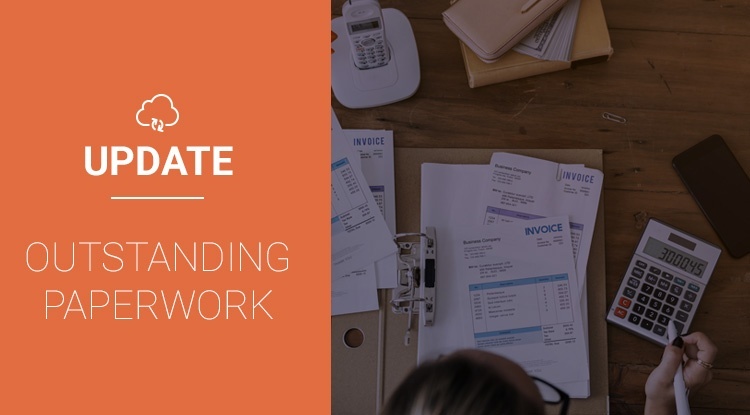 Conquer client communication with Outstanding Paperwork and save yourself valuable time and work, with this new straightforward method of retrieving clients paperwork.